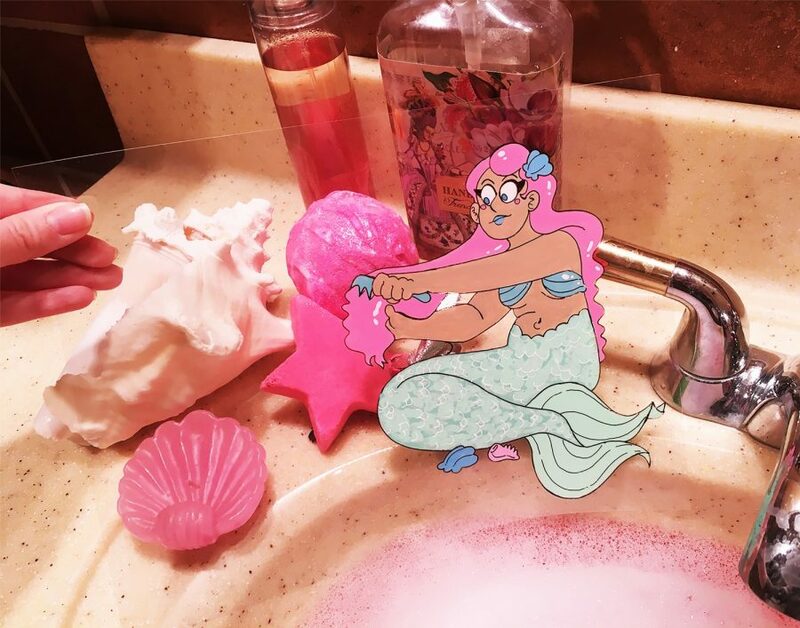 Description: A mermaid taking a bath? Seems strange. But mermaids are strange and mysterious creatures. When someone looks at my work I want them to feel a sense of familiarity, humor, and perhaps even nostalgia. 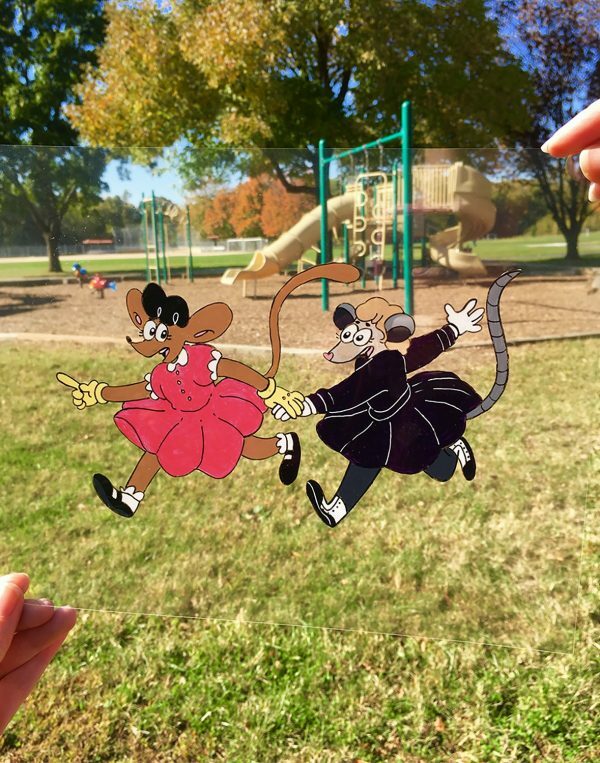 As an aspiring cartoonist part of my senior thesis work involved studying and practicing the making of traditional animation cels. I have experimented with making watercolor backgrounds to go along with them or simply taking pictures of them in real life. It is important to me understand the discipline of how cartoons were originally made, and the practice has expanded my body of work as a whole. In my work I like to focus on body language, facial expressions, and communication. What is this character doing? How are they feeling? Can you read it clearly and quickly? Most importantly, it’s fun to say that watching cartoons was a crucial factor in my college career.